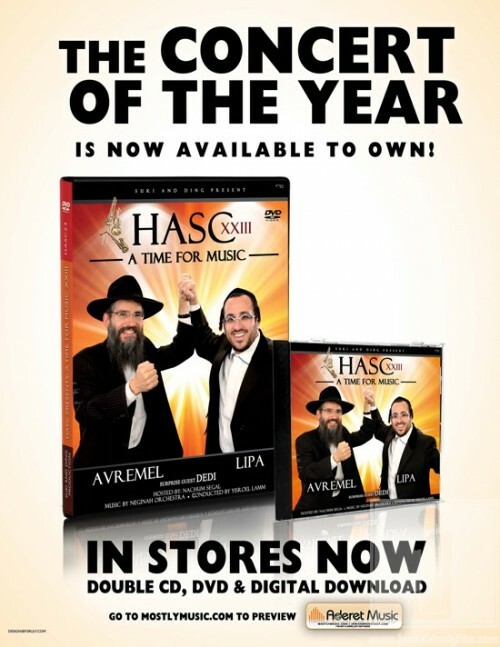 Suki and Ding present, HASC’s A Time for Music 23. This incredible musical event is now available on Double CD, DVD and digital download. You can watch a six minute preview of the show here. Also as a bonus , included is an excerpt of Avraham Fried singing a medley of Chabad Niggunim. The concert featured Avraham Fried, Lipa Schmeltzer, and special appearances by Dedi and Yitzchak Fuchs. You can buy the concert here.